Someone didn’t want to purchase from the Treats ‘n Reads fundraiser, but they did make a donation to the troop. 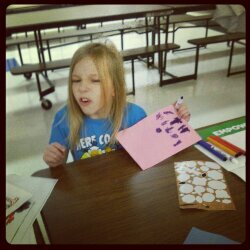 The girls made Thank You cards for the donor. Lily received a sticker set and a candy cane! 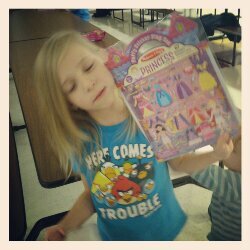 Lily received a sticker set, then she realized that there was a candy cane in the bag. She loves candy canes, especially this time of year. 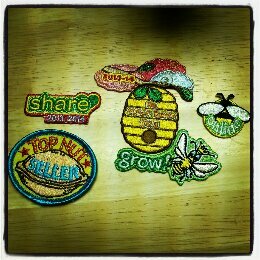 Lily's badges from the Treats 'n Reads fundraiser. 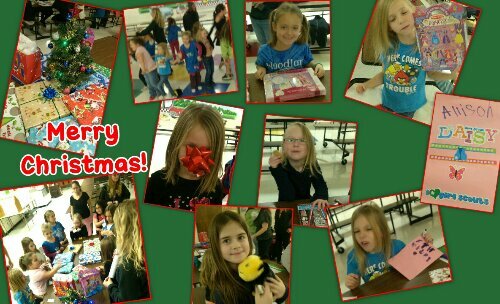 The girls also receives their incentives from the Treats ‘n Reads fundraiser. Lily was the top nut seller! A huge THANK YOU to everyone who supported Lily and her Girl Scout troop!